Boeing stock breaks the all-time high, uncharted waters ahead. 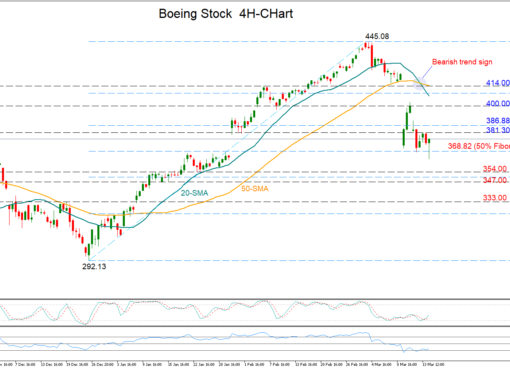 Boeing’s stock touched a fresh all-time high of 410.5 on February 5, shifting the medium-term picture back to positive, from neutral earlier. The fact that price action is taking place firmly above both the 50- and 200-day simple moving averages (SMA) amplifies this view. More advances could stall initially at the aforementioned record-high of 410.5. 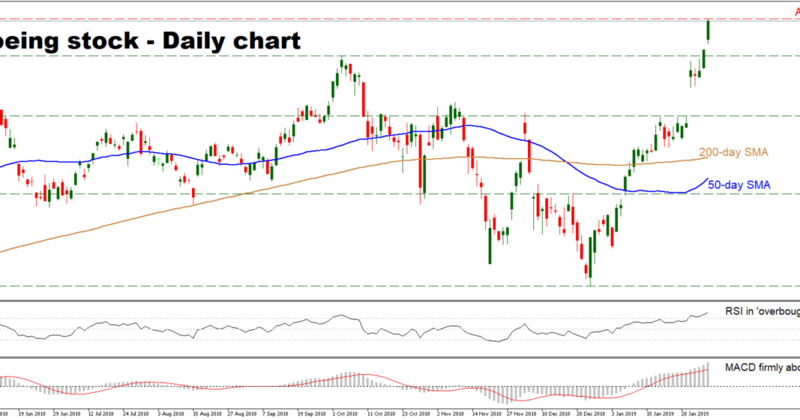 If they overcome it, the stock would be in uncharted waters, with potential resistance to further bullish moves coming near round figures that may hold some psychological importance, like 420, 430, and 440. Even higher, the price could hit 450.0, which is roughly where the 161.8% Fibonacci extension of the recent down leg from 394.0 to 292.0 is located. On the flip side, a correction lower may encounter preliminary support around the 394.0 level, marked by the October highs. A downside break could open the way for a test of the 367.0 area, which capped several advances in late January. Summarising, the overall picture has turned positive, though the speed and magnitude of the latest surge as evidenced by the ‘overbought’ RSI suggest a correction shouldn’t be ruled out in the immediate term.